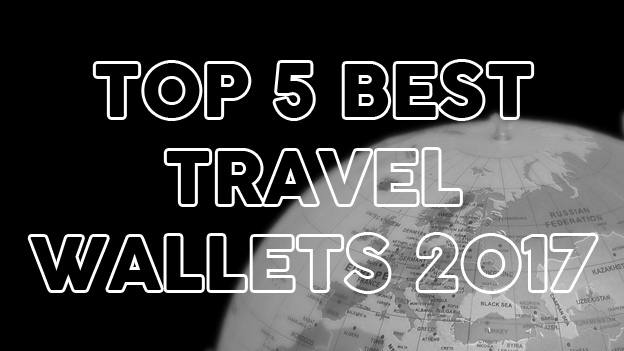 A new challenger with some cool features has arrived on the travel money belt scene. 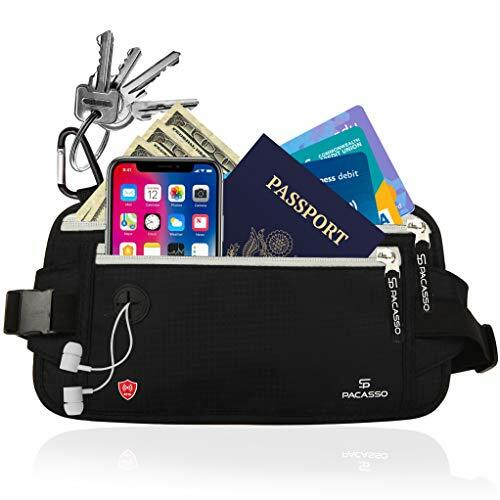 Enter the Pacasso RFID Blocking Money Belt. 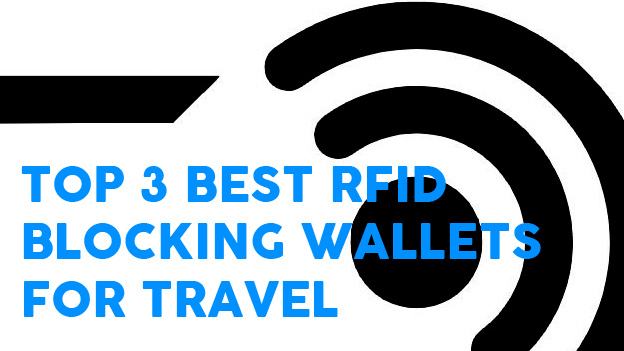 How Does The Pacasso RFID Blocking Money Belt Stack Up? 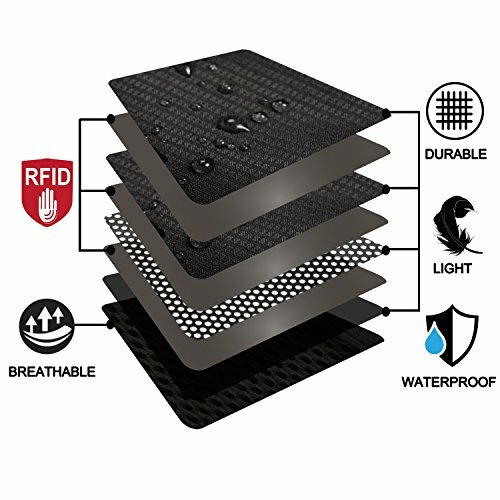 The Pacasso RFID Blocking Money Belt has many of the standard features I’ve come to expect from money belts these days. The thing that I really like is some of the smaller features that put this belt just a little ahead of the competition. First let’s talk about some of the components that I’m still not 100% confident with (maybe just 95%!). 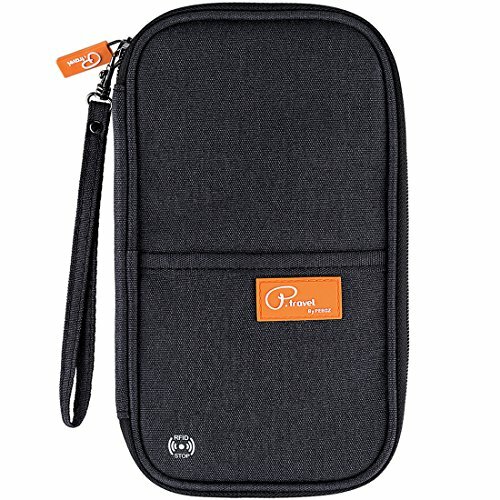 Pacasso claim that their money belt is waterproof. That’s a dangerous word Pacasso! Waterproof has connotations these days that have forced many companies to rethink their sales copy. 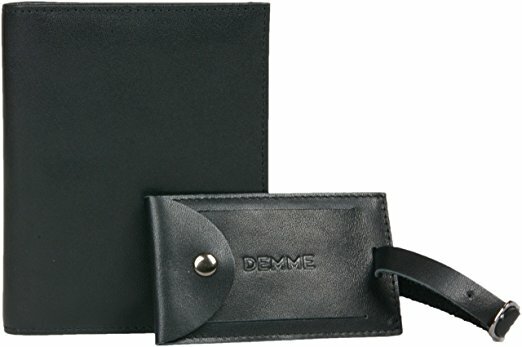 Can the wallet be submerged in water? I think not. 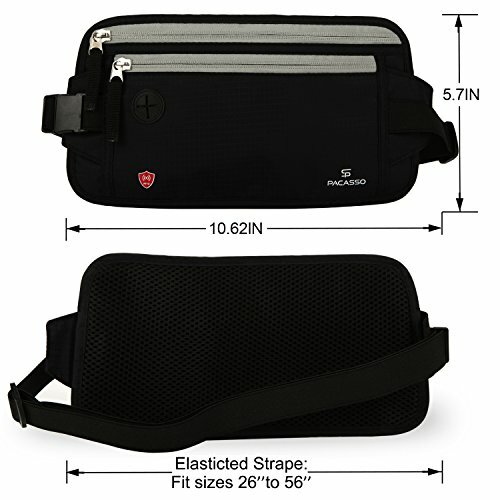 The money belt is made from nylon, what kind of nylon is hard to say but it looks looks like ripstop, fairly standard as far as light weight money belts are concerned. 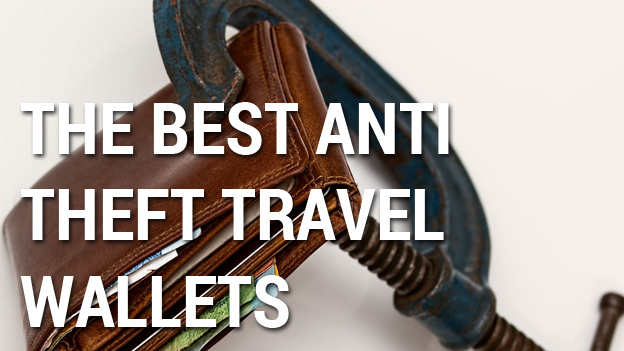 This does mean that the wallet is protected superficially from water. Don’t expect the zips to prevent water from dribbling in though! Let’s talk about the zips too. 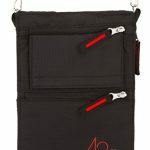 Although they look similar to YKK zips, they appear to be a cheaper, lookalike version. I am only speculating but genuine YKK zips are worth the extra manufacturing costs. So there is a question mark there – they do look and feel very smooth and I’ve not seen any reports of broken zippers yet. And let’s be honest, even the best zips in the world fail on occasion. 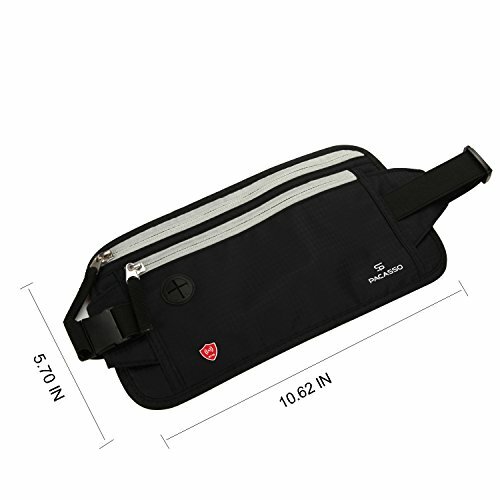 The Pacasso RFID Blocking Money Belt is essentially a pretty standard design. 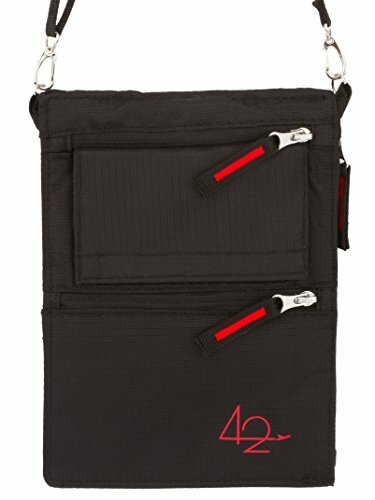 Smaller horizontal zippered pocket at the front, larger one at the back. Adjustable strap with buckle and a mesh backing to help with moisture when in direct skin contact. It’s a great size and sits somewhere in the middle of the pack, the sweet spot. 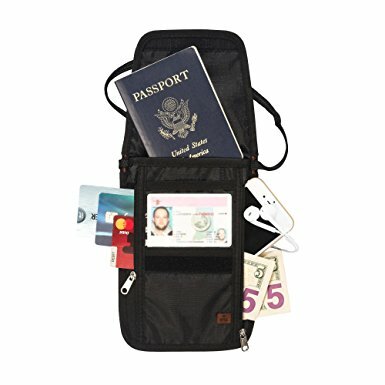 I really love the attention to detail in the Pacasso RFID Blocking Money Belt. 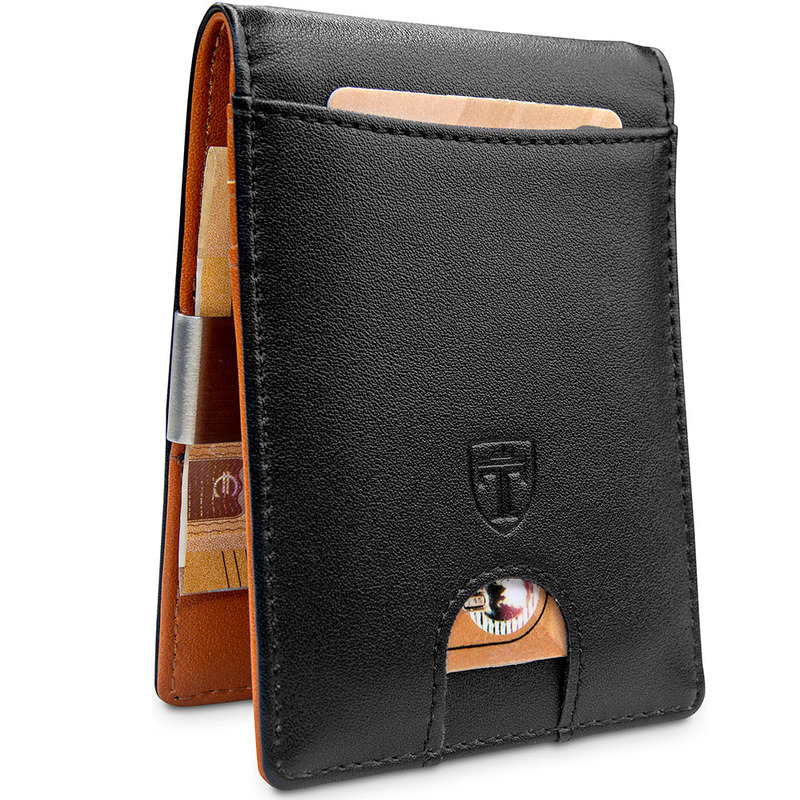 The larger back pocket contains two mesh pockets to separate and organize your documents, cards and phone. In addition to this, there is a small loop in the corner of the pocket. You can use this how you wish. Consider it an extra security precaution. 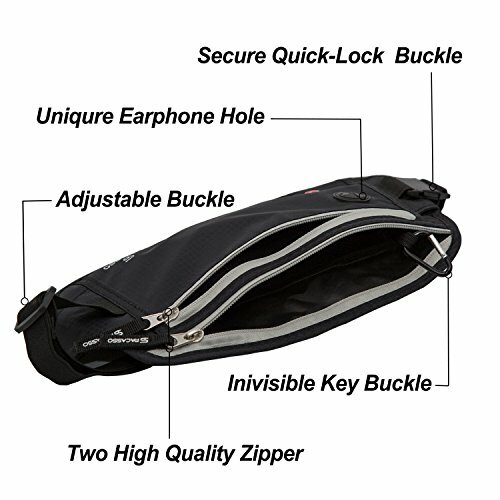 If someone is lucky enough to get into your money belt, they will have an even harder time pulling something out that attached to the loop. 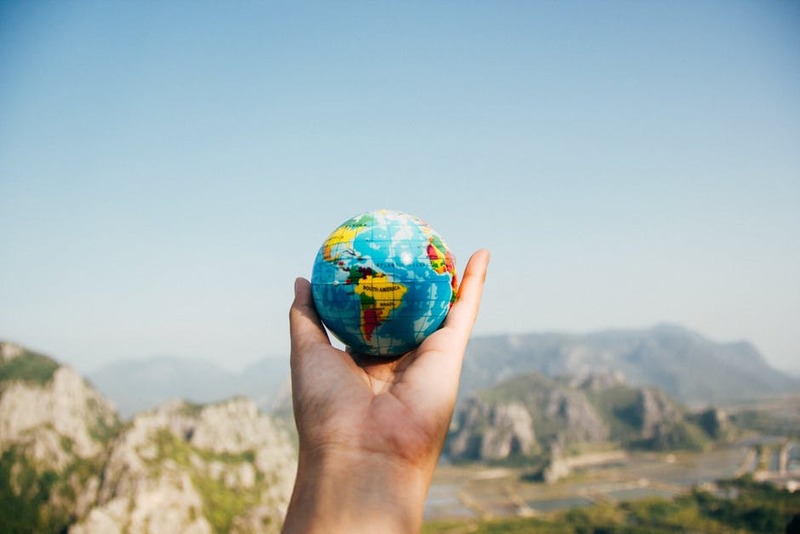 Really clever thinking and really, something that doesn’t add bulk to the wallet or increase costs substantially. I also love the addition of a headphone hole. You certainly don’t have to use it but it’s there if you do. 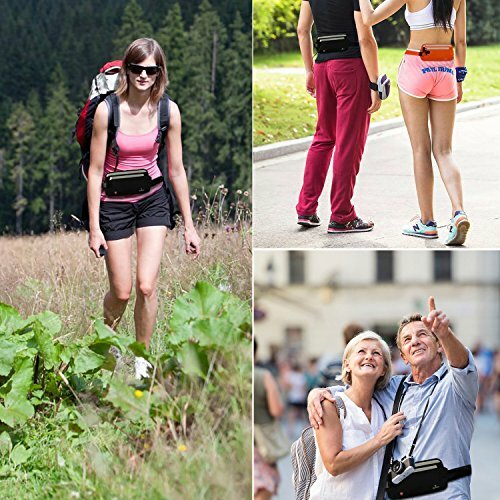 Especially handy if you are walking long distances or hiking. The little touches like this is what I wish more money belts would offer. 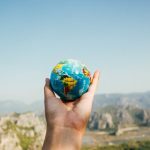 At the moment there aren’t too many innovations in the world of consumer money belts. Baby steps like this get me excited! 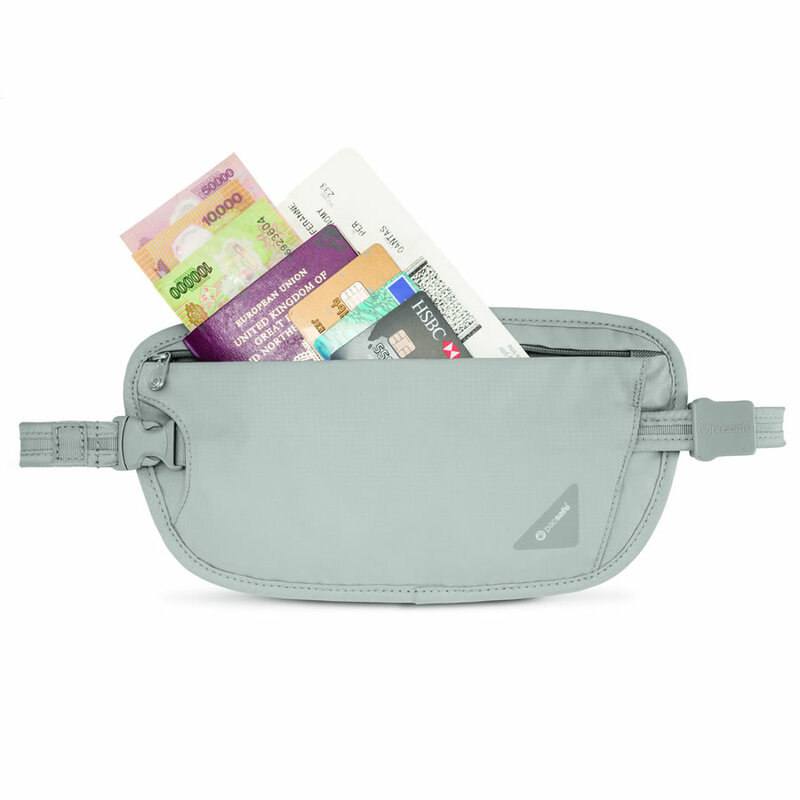 The Pacasso RFID Blocking Money Belt comes in 4 different colors and they are pretty funky in their own right. My only concern is there is no beige/skin color option. I feel like although never the most attractive, something a bit closer to skin color is safest against thieves. We have to talk about the strap. 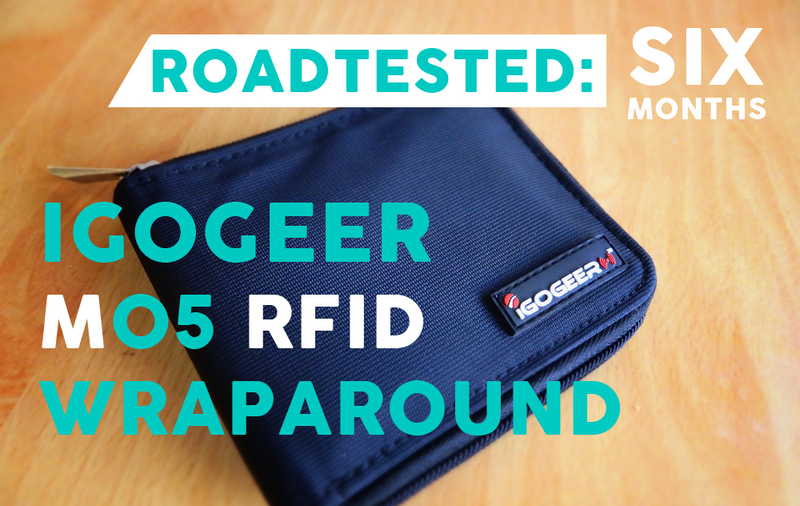 It’s a pretty stretchy strap, the buckle looks okay and it’s really easy to adjust. You can put it on and adjust as needed. The problem is that it’s maybe a little too loose on smaller waists. 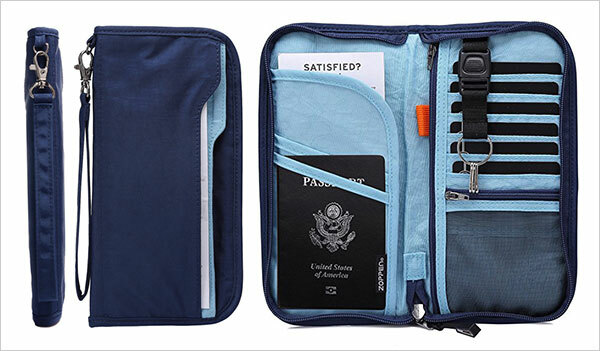 Although it feels tight and secure when it’s empty, it’s a little saggy when loaded with an iPhone, cash and multiple passports. In saying this though it is very comfortable. Pacasso have a small piece of fabric that acts as an extra cushion between your body and the belt. Another small touch that I’m more than a little excited about. From an unfamiliar company but I'm impressed nonetheless. the Pacasso is comfortable, light-weight and ticks most of the boxes. It's the extras that I love and it's the lack of extras that I often complain about. A tighter strap would be great but apart from that, I'm loving this RFID money belt!